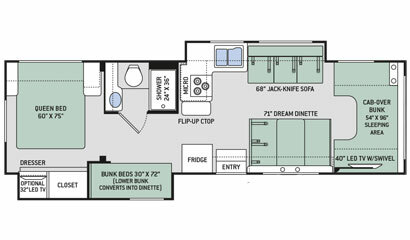 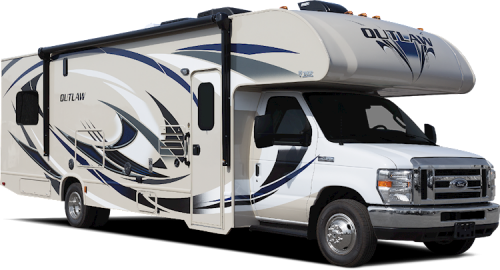 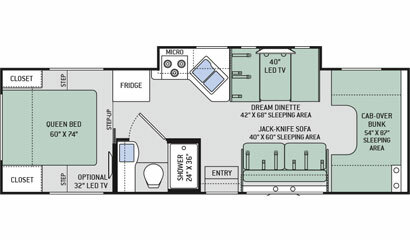 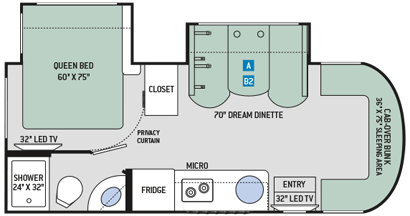 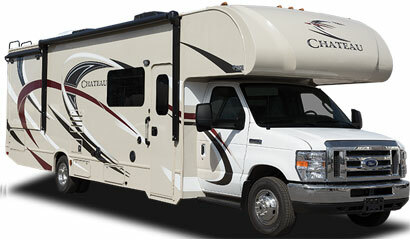 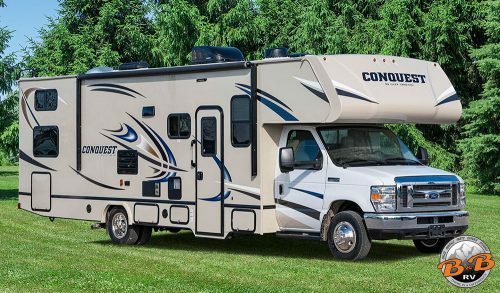 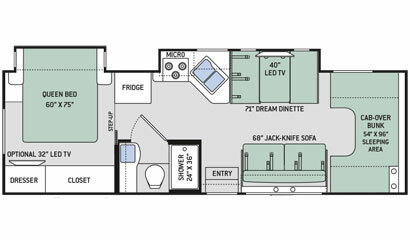 The Thor Chateau 24F has a deep full-wall slide that gives the RV much more room than a traditional 24′ Class C. It also provides a walk-around queen fold-up bed instead of the more traditional corner bed. 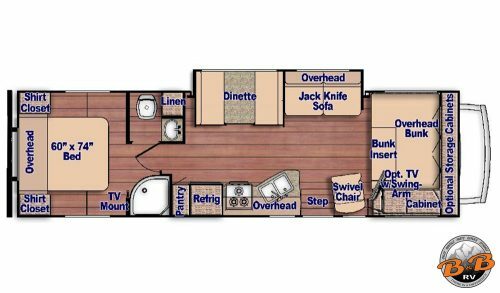 With all our upgrades, including a TV up front and a second TV in the bedroom, it has the luxury you need and large enough to sleep up to six. 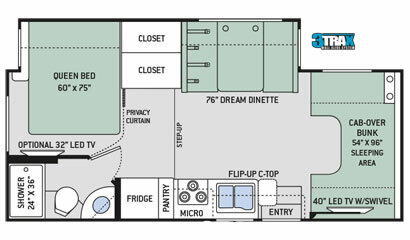 This new layout for a smaller Class C won’t last long!